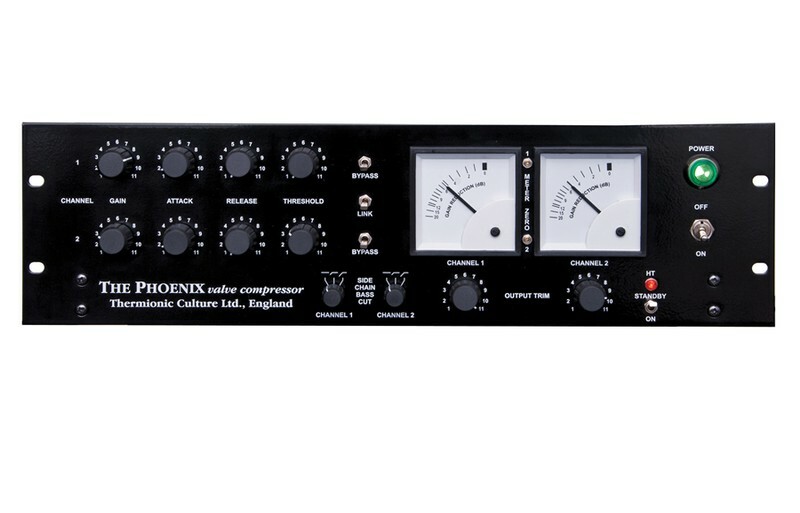 The Phoenix SB is now the standard production version of the Phoenix compressor. 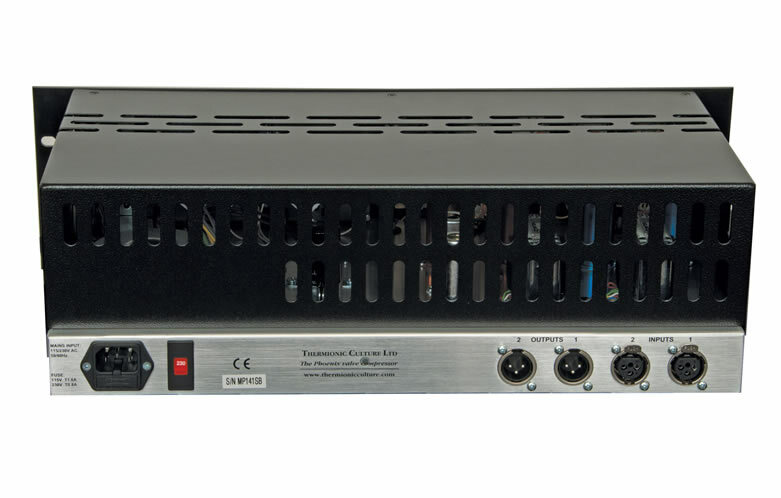 Alongside the now classic circuit design of the original Phoenix, it incorporates the side chain filter controls from the previous standard Phoenix SC model with the new addition of an HT standby switch. The additional HT Standby switch allows the user to put the Phoenix into a low power standby mode that is designed to increase the life of the unit's valves and capacitors. When first switching on, or if the unit's not in use for a while, have the Standby on. Switch off Standby and it will instantly come back to full life. We have also placed the meter zero controls on the front panel for much easier access. Both meters should read "0" when the Phoenix is off standby and not compressing. They can be adjusted easily by any user without harm to the unit. The side chain filters can be used to cut the Phoenix's compression response to bass frequencies. 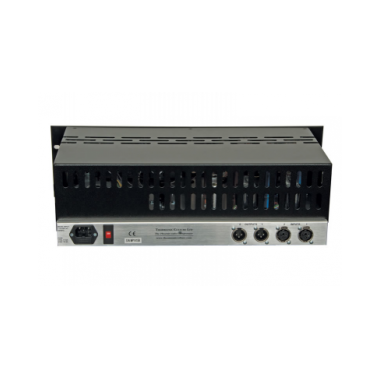 The filter operates below either 150Hz or 300Hz on each channel and when stereo link is engaged the filters operate at the average of the two sides. This enables the user to choose from 5 filter frequencies when in stereo operation. The Phoenix is well known for its smooth "soft knee" compression characteristic and excellent specifications. This means that it can be used as a compressor that will not harm your signal quality, whilst subtly controlling dynamic range. It is also possible to drive the unit harder to produce harmonic distortion and higher ratio compression if desired. Many users have found these features bring life to mixes or individual instruments, and control vocals, with a natural "warm" quality. Contrary to the above, users have found that if the unit is operated in standby mode (it still passes audio) a "symmetrical" distortion occurs, not unlike that produced by overloading analogue tape. Perhaps this fact alongside an exaggerated compression curve lends to the Phoenix in standby mode another dimension. Noise, IEC weighted: better than 100dB below MOL. Frequency response: 12Hz to 56kHz. Distortion will increase with compression, typically 0.2% & 0.25% at 1kHz & 100Hz with 8dB compression. Attack and release controls are somewhat interdependent, for instance a change of attack setting may affect the release time slightly. Therefore, no times are given on the front panel. Side chain detector: EB91 (equiv. 6AL5, CV4025). 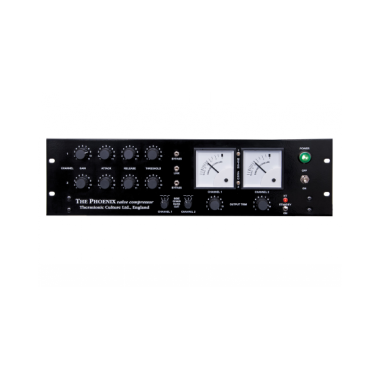 Thermionic Culture Ltd. was formed in 1998 to manufacture, promote and sell Recording Engineer Vic Keary’s all valve studio equipment designs. Our principal aim is to prove that THERMIONIC VALVES (vacuum tubes to U.S. readers) are far superior for audio applications to solid state alternatives. They have less inherent distortion than transistors, etc., and very low noise, so sound very natural in well‐designed circuits, especially with excellent audio transformers (Sowter! ), as needed. When valves distort of course the sound is legendary and mostly quite attractive and musical (hear The Culture Vulture), but we really want to promote their “clean” qualities as well. Some of our circuits have unbalanced “single ended” outputs which give a very “open” sound. All of our equipment is Made in England to the highest standards, much of it hand point‐to‐point wired in the traditional way.